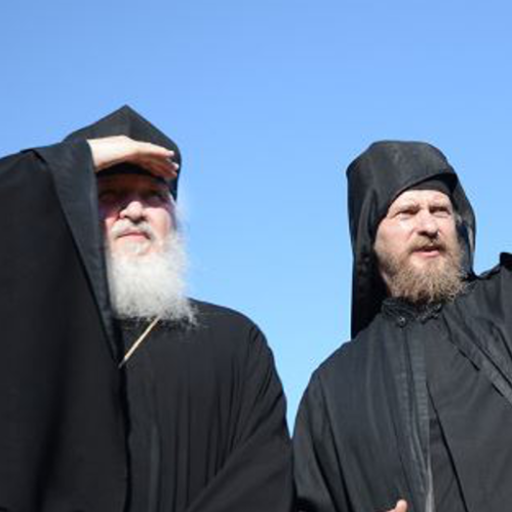 Recently I was asked by my godfather and good friend, Nathan Lewis, to explain why I left the Church of Christ for the “Eastern” Orthodox Church, hence the title of this article. The suggestion came after he and I discussed another friend of his who was also raised in the Church of Christ who has become interested in Orthodoxy. Upfront, I wish to tell you, if you are happy as a member of the Church of Christ (non-instrumental), or the Church’s first cousin the Independent Christian Church and Church of Christ, instrumental, who for reasons of convenience I will group with the Church of Christ, this article is not for you. I am well aware that leaving the Church of Christ can handicap family, friend and even professional relations in many cases, and I do not want to cause you grief. I am not here to convert you if you are in that category. I do not question your salvation. However, if you are here to wonder why I left the Church of Christ, or are considering leaving for Orthodoxy or you simply question my intellectual honesty, this article may be for you. First, I would like to state that the Churches of Christ teach a lot of truth. Among evangelical churches they may be the only, at least that I am aware, that teaches that baptism is for the remission of sins consistently with Acts 2:38, as well what I would later learn is the Apostle’s Creed. Our Baptist friends believe that baptism is merely sealing the deal, or “because of” not for the remission of sins. Exactly what Baptists believe concerning baptism is something I do not understand given the plain words of Acts 2:38, Mark 16:16, as well as other verses from scripture. I’ll freely admit that the Churches of Christ, as much as any Protestant denomination, although they detest the label denomination, attempt to model their church according to their understanding of the first century church. Additionally, they have been extremely intellectually honest in their application of the principle of “Sola Scriptura” (scripture only). To understand the distinctive practices of the Church of Christ one must understand the premise from which it generally arrives at conclusions. They commonly refer to a principle called the “common sense” hermeneutic which means: authority must be derived from any one of only three sources, all of which must be scriptural; a direct commandment; an approved example or a necessary inference from scripture. However, the basis for many of the Church of Christ’s distinctive beliefs is based upon what I would come to understand were false premises upon further study and reflection after I began to study Orthodoxy perhaps on accident while teaching a Bible Class. Not long after answering the question, I seriously pondered the implications of what I had said. Aside from the fact that I knew that a Church Council had determined the canon, I knew that I was stuck with an undeniable fact obvious to anyone. 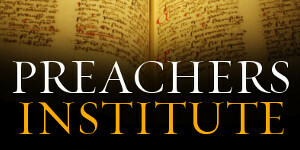 The Traditions of the early church determined the New Testament canon. There was no original copy of the Bible per se in existence with a “proof verse,” as to what constituted the canon. For a member of a denomination that wholeheartedly rejected all “manmade” tradition I was then left to wonder then if what I knew to be scripture was to be trusted at all. I could not stop believing the gospel given the historical evidence that Jesus was resurrected. I was then left with the choice to either believe that mere man determined what books of the Bible were canonical or that that authority was somehow vested somewhere else. It fully dawned on me that it was the Church that gave us the Bible, rather than the assertion I had always heard that the New Testament provides the framework for how the church functions. “upon this rock I will build my church; and the gates of hell shall not prevail against it” (Matthew 16:18). The Church was not something that was lost until the “restoration” of the “Church of Christ” in the nineteenth century, or even a few centuries earlier in the Protestant Reformation that had been started by Martin Luther. It had been with humanity for two thousand years in what was the oldest and historically first body of Christians, the Orthodox Church. God had given the Church authority that was beyond my evangelical understanding. My newfound outlook also made me take a serious look at the “common sense” hermeneutic I had been taught on many different levels. First, if common sense was common, then why was the “common sense” hermeneutic believed only by the Churches of Christ, who number anywhere from one to ten million, less than one per cent of the more than one billion people purporting to be Christians. The mere fact that the Church of Christ numbers so few rules out that the “common sense” hermeneutic is common. Secondly, for a Church that demanded “book, chapter, and verse,” where in the Bible was their “common sense” hermeneutic? Simply put, it was not there. Finally, the “common sense” hermeneutic was hardly objective. Numerous positions could be formulated, and have been, from the “approved example” or the “necessary inference” portions of the “common sense” hermeneutic. It may be news to non-members of the Church of Christ but some individual churches do not fellowship with each other over insignificant issues such as whether it is acceptable to support orphan homes or to even have separate Sunday school rooms. Members of the Church of Christ debate each other using the “common sense” hermeneutic regardless of what side they take with complete sincerity. I had always been taught that if “denominations” were to reject their traditions and simply objectively study scripture, they would come to the conclusions of the Church of Christ. However, pure objectivity does not exist even in the hard sciences much less in the study of scripture, for all people have certain biases and prejudices. I did not immediately leave the church of my parents despite the conclusions I had reached. First, as I mentioned earlier, societal pressures influence all people, particularly those of us raised in the Church of Christ. Many members still sincerely believe that only members of the Church of Christ are going to Heaven, as do my parents. Additionally, I had commitments in my church such as teaching a class for high school students. Moreover, there was the emotional difficulty of leaving friends and a fellowship that I truly loved. Now that I am a member of the Orthodox Church and in the continual process of becoming Orthodox, I can only say that my journey has been less painful than the journey of many other Evangelicals. I hope that I am not taking liberties with my friend, and former Baptist, Nathan, but his was much more painful. However, please note that I am writing this anonymously, under a nom de plume because I do not wish to cause emotional harm to my parents or others who in their “Church of Christ” mindset would sincerely believe that I am hell bound because of mine and my wonderful wife’s chosen faith. I haveAt similar thoughts: First how can we accept an inerrant Bible from Church Councils like Nicaea in 325 but not accept the doctrines, dogmas and modes of worship and church government from the same “annointed” individuals. Second if the Bible is written in Greek, would we not assume that those who speak Greek have the fullest comprehension of what is written? Are there any church Fathers before Constantine who distinctly speak of transsubstantiation and the sacraments? If so, the argument that Constantine incorporated rituals from the mystery and pagan religious practices is not valid. How can one prove from pre-Constantine writers the acceptance and use of Sacraments before 325 AD? Is there evidence in other orders, churches or sects outside of Roman influence such as Ethiopia, Babylon or India? How can I present your facts to rather adamant fundamental protestants who do not believe in rituals, sacraments, a priesthood and prayers to the Theotokas-Mary or saints but claim we have no other intercessor but Jesus? Michael, these questions are easily answered by a little study into history and the fathers. Rather than try to thoroughly answer them all now, let me refer you to a local Orthodox priest. These are easy to answer (which is why so many of us become Orthodox from so many different backgrounds). Regarding belligerent or intractable protestants, they evidently don’t know the difference between a mediator and an intercessor. A mediator is one who represents each side to the other. For example, in management/labor disputes when he speaks to management, his words are the words of the labor rank and file. He is, for all intents and purposes, labor. Likewise, when he talks with labor, his words are the words of management. An intercessor is simply a supplicant on someone else’s behalf. We all intercede (pray) for each other daily, and the saints continue their prayers for us. Nothing unbiblical in that. Jesus Christ is the only mediator between God and man. When He speaks, we are hearing God’s Words and commands. When He stands before the Father as one of us, he represents us all. Indeed, as God and man He is the only one who CAN be the mediator. However, perish the thought that Christians, in this world or the next, do not intercede for one another! I believe St. Paul would take issue with that! 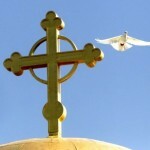 Hi My name is Gina and I am a Greek Orthodox Christian . I would like to respond to Gavin Smith’s conversion article – and thank him for writing about his conversion. Where in the SCRIPTURE does it say we can baptize infants? 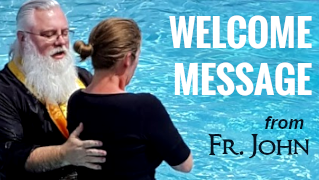 She questioned my BAPTISM — and told me that my salvation was at stake because I had not of my own accord decided to get baptized , and was not even aware of who Christ WAS, that my Sponsor accepted FOR me — she told me this was unscriptural and a false doctrine . and this in my mind gave her words more power and I had serious questions about my baptism being valid!! I must say that she was the CATALYST that made me research my faith and ask question after question until I got a satisfactory answer — along the way I came to understand HOLY TRADITION and its importance and found out that the Bible BECAME the book of THE CHURCH which already existed without a written material for many years — ORAL TRADITION — was the way the TRUTH was passed down .This is FACT – since we know the New Testament was only written in approx. 60 AD ( If I am not mistaken). When I read Early Church documents from 150 AD and I read that “where the Bishop was the Church was” ,I saw Apostolic Succession was taking place then, as it does to this day , and Orthodoxy began to make more and more sense to me. Where did this Bible come from ? Who Put it together ? Who decided that this letter was accepted as canon and which was rejected ? Obviously there must have been an ORAL TRADITION — a HOLY TRADITION that every letter was compared to, and if it was found to differ from what the Early Church taught it, was rejected. 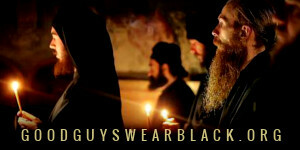 This is the HOLY TRADITION we hold so dear in ORTHODOXY !! “Knowing” , I just KNEW she was wrong ,without question . I told her based on what we had said before , how could she say that HISTORY WAS NOT IMPORTANT -!! and that , that would only be true if the Bible in its collected form today descended from the heavens and fell in our laps directly from GOD — then we could say History was not important — but that is not how it happened . – If 10 people get hold of the same Bibles and sit in a park under a different tree and study it AND call Upon the Holy Spirit to Guide them (as everyone says they do when studying Scripture ) — HOW COME THE HOLY SPIRIT TELLS ALL 10 PEOPLE A SLIGHTLY DIFFERENT THING??? ( as is proven by the many different interpretations of the same verses today) To me this does not make any sense at all , and since the HOLY SPIRIT cannot contradict itself, something else is at play here .This is obviously not the way to come to the correct interpretation of Scripture ! From that day on I became much more confident that I was in the right faith – and I believe it is imperative that Orthodox like me who are born into the faith need to research their faith and find out for themselves why they are ORTHODOX and what it means to be ORTHODOX . Thanks for writing and you are exactly right, which is why we created Journey To Orthodox in the first place! I appreciate the response from Gena as I too am currently having the same experience with a friend of mine at work. I recently converted to Orthodoxy from the Protestant churches, via Baptist, Independents, Charismatic churches and finally, the Church of the Nazarene. I married a Russian women, in Russia where we lived for a year, and being introduced to the Orthodox Church through her, I began to study it’s theology. My “feeling that there was something more” in the Protestant churches fueled my study and finally, I am content in my church. My friend witnessed the last period of my conversion process and listened to my enthusiastic discoveries with much disaggreement and warnings, and still will not accept anything I try to share with him, and I do all the time. I am not theologically grounded enough in my faith yet to make theological arguments with him, so I have stopped attempting to do so, but I still share my comments as I can. I can easily see his defense tactics as he struggles to defy anything that might shake his beliefs, constanty running back to the “If it’s not in the Bible then I don’t believe it” position. I do not necessarily believe it is for us to try and convert all other Christian denominations, although I would truly like to, because someone once told me, and I am beginning to realize that in order for someone to be willing to change their way of thinking, they have to want to know what the truth is. If they do not want it, then they will not accept something that contradicts their beliefs. They will only discard it as a heresy. The best I can pray for is that by continually divulging my thoughts and discoveries, that it might plant a seed of interest in their minds to question what might be the real truth. That is how it started for me. At first, I dismissed many teachings of the Orthodox Church, but the some of the concepts that my eyes were opened to were strong enough to keep me looking for more. Finally, after a 4 year journey, I put my defenses down and made the commitment to join the Orthodox Church, and I have never been so comfortable as I am now. I was also raised in the church of Christ, and my analysis of the whole matter is the following: The problem with all churches, the church of Christ, the Protestant churches, the Roman Catholic church, and even the Eastern Orthodox, is this: Paul. If it weren’t for Paul there would probably be only one church. It is Paul’s inability to remain consistent that has brought about denominationalism. Here is an obvious case in point. Now anyone with “common sense” as you refer to or “reason” can see that Paul is contradicting himself. In one passage, “the doers of the law will be justified” but in the other “no flesh will be justified by doing the law.” It is this sort of inconsistency (found mainly in Paul) that has brought about the divided state that Christianity is in. If the Biblical canon consisted only of the gospels, we would have probably at least 80% less denominations than we do. So now its wrong to eat meat offered to idols. Yet is is also lawful. What? So now fornication is wrong, yet it is also lawful. Face it, the problem is not any particular church. The problem is Paul. Some churches may have a laxer view of the Bible that allows them to better mitigate Paul’s corrupting influence, but his corrupting and heretical influence affects all churches. Until he is finally rejected by Christianity for the false apostle and heretic that he is, Christianity will continue to be a nonsensical and inconsistent irrelevant thing. Church is meaningless because rather than making you a better persona morally it simply confuses you with the nonsensical bablings of a madman named Paul. haha I almost thought you were serious for a moment there! Whatever you go to the Bible to find, you will find! If you seek God and His message, then you will find him there, if you seek man or a justification of your ideal, then you will find that too! Either way, you get what you are looking for. It is precisely why we don’t ‘go to the Bible’ to justify our opinions, but look at the Scriptures with the eye of the Church to tell us what God has revealed. Gavin, Thank you for sharing your story! My husband and I were both raised in the churches of Christ (non-instrumental) and he was a minister. He gave up his career path for Orthodoxy, His family has rejected us, but we are strong in where our faith is. 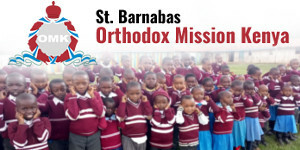 We have been Orthodox for almost 5 years now and are not looking back. Could we go and sit in a pew again? Probably, but it would be empty for us. No meaning to Communion, no icons, no chanting, no incense or candles. My husband and I are also in the process of moving from the church of Christ to Orthodoxy. It has taken us a long time because he must find a new job, and we are deeply disappointing our parents. They certainly believe we are “going to hell,” and they are angry at us for it. I could use a support forum! This IS your support forum. Be sure to let us know how we can help you! Thank you for this article. I am currently a member of the church of Christ and am strongly considering Orthodoxy! Is there anyone here wiling to discuss with me the transition from your faith to Orthodoxy? Though i am not confuse or looking for answers, i am of the orthodox church n very comfortable where i am , but i hv a bf who is of d coc, tho i love hm i av tried to leav him has we av a contradictin belife, i am still with him and has agreed to marry him. Wth such contradicting belief can we live together tho i am scared but also scared of loosing him. Hello all, while I am open to Eastern Orthodoxy (and for that matter, truth in general–wherever it may lead), I am convinced that the earliest non canonical literature is more supportive of the reading of the New Testament found within the Churches of Christ than any other religious group. I can elaborate more if needed, but a plurality of elders, innocence of infants, singing without instrumental accompaniment (here continuity is shown with our Eastern Orthodox brethren) all find clear expression in early non-canonical Christian literature. I would like to encourage those who are thinking of leaving the Church of Christ to reconsider their theological heritage. We are indeed a historical faith. Ah, but the question is not do non-Orthodox Churches have ANY early Christian practices or beliefs. 90% truth and 10% error is still error. Even Mormons ‘claim’ that 1 Cor. 15:29 gives them the right to baptize the dead, but that doesn’t justify ‘re-creating’ the Church or Christianity to their own likes, or anything else they do. In the final tally, either you are Orthodox or you’re not, and if you’re not…. you’re not. I’d like those considering leaving any heterodox Church to really look at the historical church, wherein is the historical Christian faith. And there’s no rush – we’ll be here. Thank you Gavin and Journeytoorthodoxy.com for publishing great little nuggets of truth like this one. I also was involved in the Restoration Movement/Church of Christ, having graduated from an affiliated Bible college, seminary, and served in a pastoral role at a large C of C church. When I was a Protestant pastor I could reason myself out of and shoo away anything I didn’t like, may it be: scriptures and theologies that disagreed with mine, whole people groups that made me uncomfortable, or even considering that I sin or have sinful habits. I believed that I was the Master because I had the degrees, a title, a cushy job, and what I possessed what I thought was truth that leads to salvation. I later matured as a person and realized that I am not my most reliable source for spiritual matter. That many others who have come before me (and presently) who our community has deemed closer to God because of their openly, lovingly lives, are a much more reliable guide for my life that my own selfish heart.When I made that jump to not relying on only myself and instead letting my spiritual family help guide and carry me in my worship of Christ, that’s when I first began caught a glimpse of what salvation is all about: acknowledging our own sickness inside their heart, and then in response, trusting and accepting the Great Physician’s prescription to provide the medicine of our soul, which is our beloved Orthodox faith and practice. Gavin, thank you so much for your story. I work with someone who is Church of Christ and was was wondering how I might reach them. In any case, Glory to God you came home. I am so grateful for this article and the comments. I too am a member of the Church of Christ. I married into a Coptic Orthodox Christian family. My mother being a Church of Christ member didn’t come to our wedding bc she disagreed with my decision. I then was baptized into the Orthodox church while I was pregnant after the baptism my husbands uncle took a picture and a cross appeared on my belly, which I felt was a sign. Both my children have also been baptized. I have been struggling bc I want them to experience both the Church of Christ and Coptic Orthodox Church. My family has such a strong influence and makes me feel like I’m doing something wrong when we go to the Orthodox Church. When we go to the Orthodox Church I actually shed tears, it just feels holy. I started questioning am I doing the right thing….Then discovered in our orthodox study Bible it the complete bible with the canons included. Why were these taken out, who made this decision? It doesn’t make sense to me that a man decides the books that should be in the Bible…many other questions have been going through my mind, such as The church of Christ say, the true church started in 55 AD and the Orthodox Church has a different date, but common sense would tell a person, it would take years for the other disciples to travel and start churches in other parts of the world. St. Mark I understand started the Coptic Orthodox Church. I guess what I’m really trying to say is, I’m reaching out for support! Am I doing the right thing?? Dee, of course. That is what we are here for. How can we best help? I am not Orthodox but was raised Church of Christ. In my opinion no matter what the Church of Christ may say they get right regarding “what the Bible says to believe and do” and every other “denomination” “gets wrong” the Church of Christ is still counterfeit in its claim to be the one true church. It’s Restoration Theology by itself destroys its claim to be the original church. If you read their literature from the 1800’s and the writings of many of their now prominent preachers they actually come out and say that Jesus began the Church of Christ, it fell into complete apostacy, and then was restored by Alexander Campbell and others in the 1800’s. This is flat out wrong. Jesus said that he would build his church and the gates of hell would not prevail against it according to a Bible verse. And there is a distinction to be made between the seed (preached word of God) and the result (the church of the saved that heard the word and heeded it). Some in the CoC will try to say that Jesus meant the seed, or word would be around forever, which I think is a correct theological claim to make based on other bible verses, but would respond that the gates of hell was said never to prevail over the CHURCH, the word seed not being used in that verse. There are a few in the CoC who realize this restoration theology is an embarrassment and wrongheaded and to cover it up claim that there were CoC’s (like the ones the people in this discussion left) existing before Campbell in places like Middle Ages France or England or Russia. But when you dig into these claims you find that even though these pre-Campbellian CoC claims are incorrect. The churches cited had theology and practices totally different from the campbellite Church of Christ. My spiritual journey is very similar to Gavin’s. My family’s legacy in the Restoration movement can be traced back more than a few generations. I am grateful for the Christian foundation, reverence of scripture and friendships from my Church of Christ background. Still, there was something missing and I was spiritually dying. I was slowly becoming a Christian Athiest. When I first stumbled upon this website and read Gavin’s story, I was a deacon in a local Church of Christ and had come to the same conclusion as Gavin about scripture. I wasn’t sure at the time if Orthodoxy was the way to go. Over time, my wife and I eventually summoned the courage to visit a local Antiochian Orthodox parish. We knew we had found the original Church of Christ and became Catechumens a few months later. The Christian faith came alive and filled us up to overflowing. Christ and His Church became living and real to us. The sacramental world view gave us more peace and compassion towards others and His creation. Thanks be to God, we were Chrismated today (Holy Saturday 2015) and we joyously anticipate our first Pascha tonight! I could never fully grasp all the depth and richness of this ancient Christian faith, though I am learning something new each day. I thank God for renewing my faith and bringing me home. I just found this post and I love it. I was raised in the Church of Christ but I became Orthodox about, oh my…18 years ago. Wow. Time flies. I encountered a lot of resistance from my family. I stuck to my guns and the resistance has mellowed over the years and significantly so. It was probably easier for me to take on the criticisms and challenges because I had a degree in philosophy and, at the time of my conversion, I was in law school. I was able to go toe-to-toe with the preachers who were sent after me to convince me of the errors of my ways. My cousin was raised in the CoC too. He called me a year ago January and began to speak with me about Orthodoxy. He had done his research very well before he even called me and had been attending an Orthodox church for a while. He had been suffering from a life-threatening illness for years and it was getting progressively worse. He was dependent on his family for assistance although he lived alone. He decided to become Orthodox. Sadly, even though he was in his early 50’s, he felt he had to hide this from his family for fear that they would interfere and make things difficult for him. After he decided to become Orthodox, his health deteriorated rapidly and our plans for a Chrismation after Pascha was jeopardized. We were able to get permission to have him Chrismated on Holy Saturday due to his condition and it took place in his hospital bed. I was his god parent and he took Holy Communion. He died the next day on Pascha. Afterwards, things were bumpy with the family and he was denied an Orthodox burial. The family refused to accept what he decided and pretended that he was a member of the CoC. It can be tough leaving the CoC and moving to Orthodoxy. That fear that many express, that fear of being cut off from the family and being condemned to hell, shouldn’t be there and it is the first sign of a problem. Just as Gavin expressed, the CoC gave me a good foundation in respecting the Bible and many of those of the Restorationist movement are truly seeking the truth. By moving towards Orthodoxy, you are not rejecting the truth, you’re following the path on which you started in the CoC…it’s just not where you expected you’d end up. Thanks, Aidan, for that beautiful testimony. Please consider writing it up in more detail so we can publish your story, and inspire even more. i read your article and got surprised,can you teach the truth in kenya? Please contact them today, and tell them we sent you! I’m a member of the church of christ non instrumental and I came to similar conclusions as you did… I don’t have all the emotional baggage as I only became a member because I married into the church. I don’t know what to do at this point with these conclusions, but it’s very interesting nonetheless. Joe, let’s pray for each other, and begin a conversation. Joe, it’s what we’ve been doing for you. Ask the Holy Spirit yourself what to do, to guide you. He doesn’t contradict Himself. I’d like to ask, does orthodoxy believe anyone not an orthodox will go to hell? Could a believing baptised catholic or Protestant make it to heaven from an orthodox perspective? Joe, in Orthodoxy, we don’t pretend we know who is and isn’t going to heaven, but we do know that the ‘vehicle’ or ‘organism’ Christ created to BE salvation for mankind is the Church. (Hence, the saying of the fathers, that there is ‘no salvation outside the Church’ because salvation IS the Church). Therefore, rather than judge anyone, we simply connect people to Christ’s plan for salvation (the Church) as our ONLY option. The point is to go back to the word of God .We must be dogmatic about what the word of God says but not with bad attitude and arrogance. What people often argue about is clear Christian doctrine : The Divinity of Christ , the relationship between Law and Gospel , how one is saved , the name for God’s people . In this regard , the Church of Christ is on solid ground . I have never seen anyone successfully engage them because the word of God is clear and unmistakable . Attitude will vary from individual to individual but we are discussing doctrinal matters . There is also the matter of love that presides over doctrine . You need to define Orthodoxy . Jesus speaks of the broad and narrow way . Majority rule does not make it right , only the word of God . Keith, if reading this article you have already seen successful engagement! It’s not that hard. Orthodox Christianity is defined very simply as primitive Christianity, and that which has been believed “everywhere, always, and by all”. See this short Article to see. Pretending that the Church didn’t exist from the Apostolic age until 1830 is the height of spiritual pride, and historical ignorance. If that were true, you wouldn’t even have a Bible to call Holy. You see, the Holy Spirit DIDN’T abandon the Church for 1800 years. (John 16:13) He HAS led us into Truth. Christ’s promise is solid. I was raised in the Church of Christ and some years ago went to Kosovo as part of an international peacekeeping mission. There I encountered the Orthodox Church. Being raised in the Church of Christ we were not taught any church history and consequently had no knowlege about Orthodoxy. What I learned deeply effected me. For one thing I am unaware of a significant number of CoC members dying for their faith ( certainly many would). In contrast the number of Orthodox martyrs numbers in the millions. I observered first hand the depth of the Orthodox faith being assigned to a Serbian village surrounded by hostile people. Despite persecution, Orthodox priests there were willing to help the Albanian population. I could find no comparison in the protestant faith. About ten years ago I met my amazing wife (Orthodox from Romania) and was baptized by Father Andrej at Decani monastery. I returned to the US recently and brought my family to meet my brother (a Church of Christ lay minister). To say the least the reception was no so warm which only further confirmed my Orthodox faith. Steve, we always pay a price when we follow Christ, don’t we. I also recently entered the Orthodox Church after many years in the church of Christ. My reasons were similar to that of the original blogger’s. The church of Christ is an honest, devout, earnest body of believers. They are also intellectually consistent in interpretation, as the blogger mentions. However, I simply stumbled across a passing question about church history, and soon thereafter the ground shook, so to speak. Ultimately, that ground formed a path (shockingly) to Eastern Orthodoxy after a long time of studying and questioning. A primary change for me along the journey has been, I think, a change regarding authority. I think those in the Church of Christ simply do not recognize the inherent authority assumed in claiming so much in and about the Bible to be “plain”, “common sense” and “simple”. Doubting that does not mean doubting God or the divine nature of Scripture. Similarly, involving the Church in the story of the canon does not minimize God’s authority. Again, I must restate that I love the church of Christ and its members. They are Christians and many of them are more Orthodox than I am, as I have heard it said. I do want to offer encouragement to any feeling isolated or fearful as they explore similar questions. All we can do –any of us — is strive to follow Christ wherever He leads. Wade, you should write up your journey for us! Hi I am currently going and grew up in the church of Christ (non instrumental) and I feel very very strongly that I need some more guidance as to I don’t think that everything that the church of Christ believes in is true and I’ve been looking at so many different churches and if you are able I would absolutely LOVE IT if you could help me out. 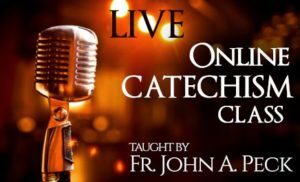 My wife sent me this post cause I too was raised acappella CoC and ended up in Orthodoxy. My journey was a little different from Gavin’s, but nonetheless it’s nice to see there are other CoC’s out there who have found the Church. The one point I wanted to really share was that the acappella CoC is very militant on its stance about having no instruments. This one point is all that separates it from the Christian Churches. As a part of their sola scriptura method, I was always told “speak where the Bible speaks and be silent where the Bible is silent.” Yet on the issue of instruments they are not silent. Since there is no direct reference one way or another whether the Church we see in Acts used instrument in their worship, they feel we shouldn’t use them. But the moment you come down and say “this is how we must do this or that” you are not being silent. You are speaking, taking a stand in one side of the camp. Therefore they are speaking on an issue about which the New Testament is silent. Yet, as we can see from Gavin’s article this is just the tip of the iceberg when it comes to the logical inconsistencies in the CoC. Yet, he is also right in saying there are many good people there who are really trying to do what they feel is right. I think more would at least consider the claims of Orthodoxy if they would be brave enough to study their own history. I think fewer CoC’s know Restoration history than many would guess. I never even heard of Alexander Campbell til I was about 19 years old, in college. I’ve also had a bad experience with the CoC. What exactly do you mean by Orthodox? What is the specific church? Patricia, it’s called the Orthodox Church. That’s what this entire site is about.